Color images of artifacts at the Computer Museum History Center. Consists of 50 images. 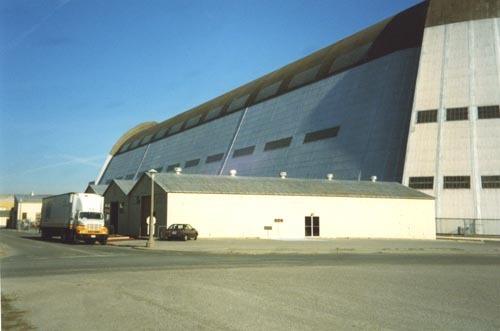 This header image shows the Moffet Field buildings housing the History Center with a moving van in front. The dirigible hanger is in the background.